Welcome to Thinkport's out-of-school learning resources for children ages 4-8. Activities feature PBS KIDS programming to engage all learners. Explore content that uses PBS KIDS content to introduce literacy skills to young learners. Visit MPT-created math activities, developed for PBS KIDS Afterschool Adventures and PBS KIDS Summer Adventure! Browse this collection of MPT-created math activities developed for PBS KIDS Afterschool Adventures and PBS KIDS Summer Adventure! This reading program pairs younger and older elementary students to read, watch and discuss interactive, STEM-based stories and videos so younger students broaden their academic vocabulary, increase their understanding of informational and narrative text, and improve their communication skills. 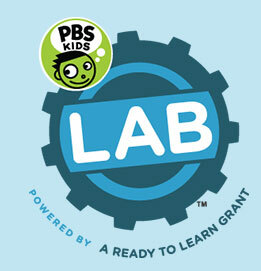 Visit PBS KIDS Lab for afterschool and summer resources paired with PBS KIDS programs.